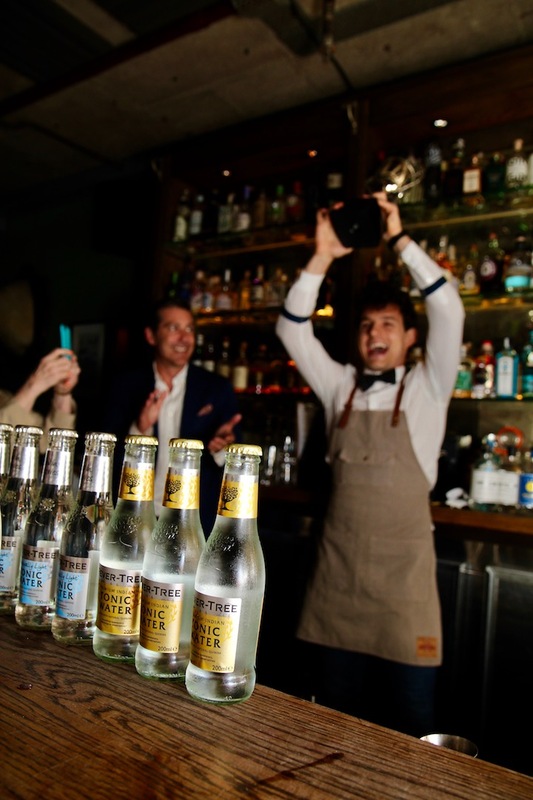 Italian born, London-seasoned bartender Giacomo Franceschi, has taken out his first national cocktail competition at the inaugural Australia Gin Cocktail Cup held at The Barber Shop on York Street Sydney. Giacomo is flamboyant, bold and a little loud like most Italians in hospitality. 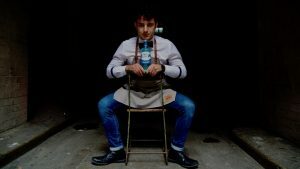 Let’s face it, it’s hard to replace the loveable Max Greco but hey; if it looks like a Negroni – might also taste like one too, right? Let’s be real, Giacomo is talented, his presentation needed no microphone as his body language said more than words could translate. His attention to detail was largely in the preparation of his cocktail. The cocktail assembly was quick and simple right at the end of his five minutes freeing up his time to connect with the judges. You can see it in his eyes, this guy has hospitality in his blood – it’s under his skin and his placement with the Merivale Team at Charlie Parker’s clearly allows him to be at his best. I caught up with Giacomo for just five minutes after his win at The Barber Shop. This is scratching the surface of what’s going on behind the eyes of Italian Stallion from Viareggio Tuscany. Seriously, this guy needs his own TV show. Tell us about when you came to Australia. I came to Australia last January, actually, it was the 20th of last January, and mostly from London. My girlfriend and I knew that Australia was a nice country and we decided to move in. 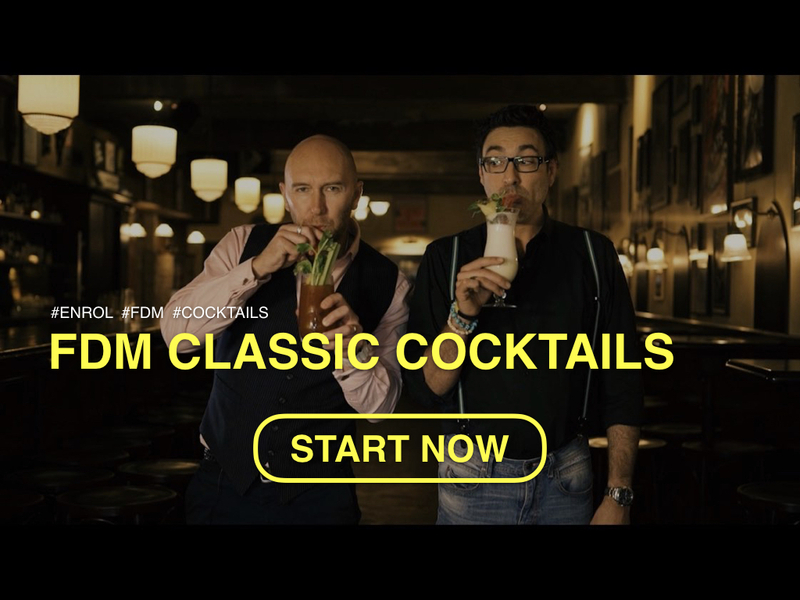 So, back in an age when I was in Italy, I studied bar at restaurants in the high school, and when I was 19, I couldn’t wait to leave, and I moved straight away to London where I started work for Hubbard and Bell, The Hoxton and The Ned. I started at the bottom collecting glasses and was bar back for six months. I was promoted as a bartender, then senior bartender. I remember one night in London. On Friday night, we’re making £27,000 pounds net profit on drinks. They were good times, good times, back in the day. 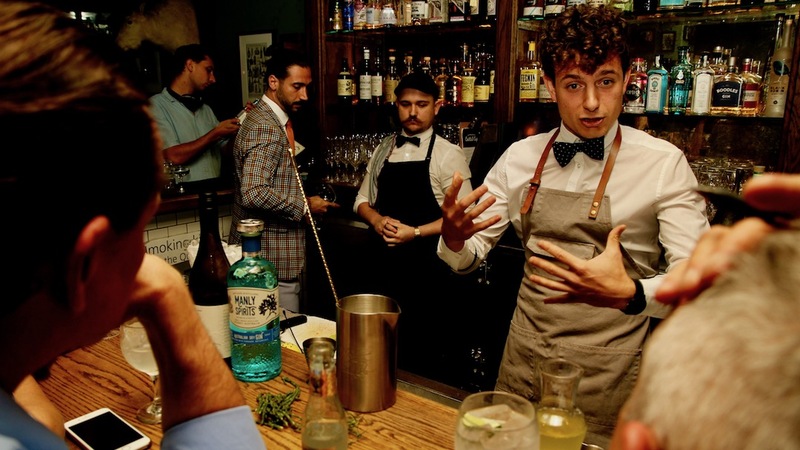 What kind of spirits do you work with, what kind of style of cocktails are your thing? If there is one thing that I can do well in my life, it’s making drinks. And let’s say, when I make a drink, most of the time, I base my drink on Gin, Whisky or Tequila. So, every drink that I’m going to make will be always supporting the main spirits. So, I like to work, to understand what’s actually the spirit I’m going to use and then to draw all the flavour out with other ingredients. 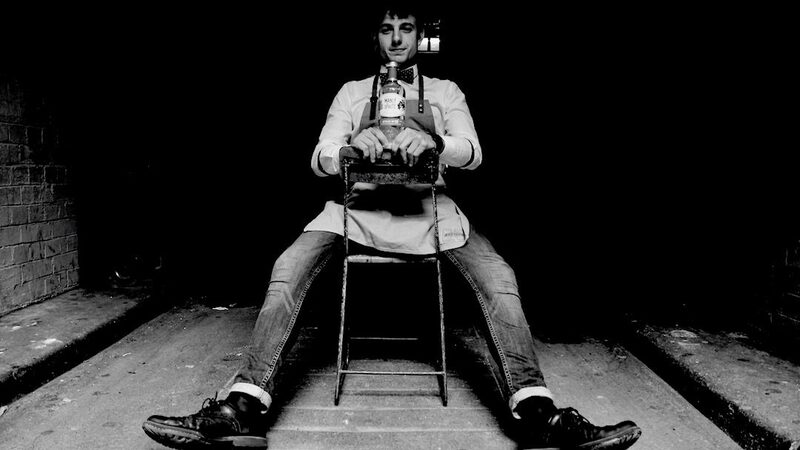 And, in Australia we’ve got a lot of small distilleries making good gin. 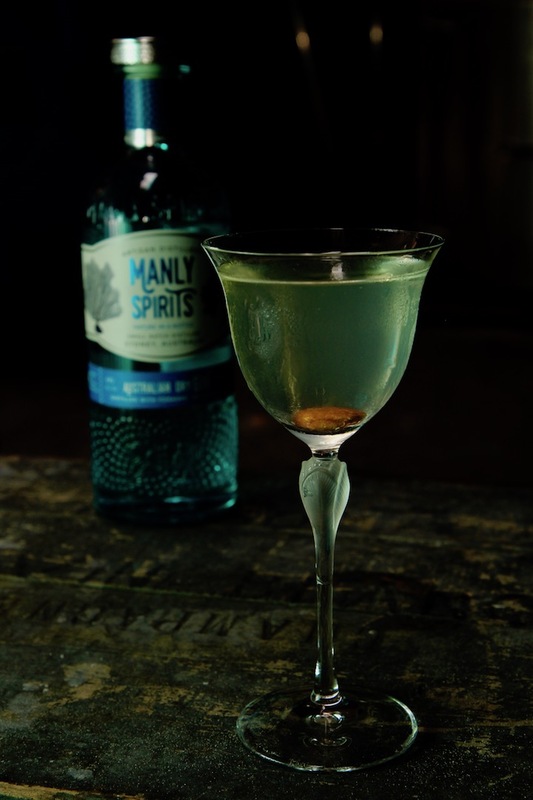 What made you choose Manly Spirits Gin today? 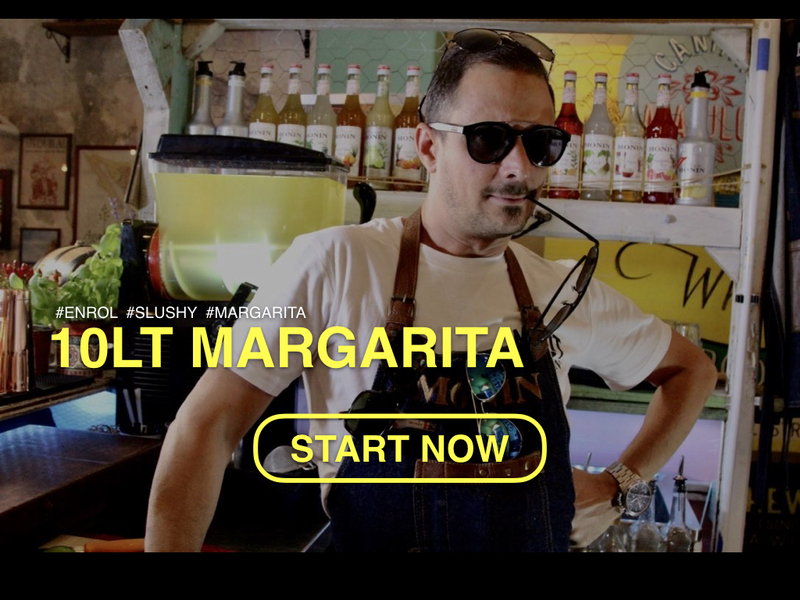 I wanted to go to the Manly Distillery and I wanted to make a drink for them. So, I went there, they were actually in the middle of the process to make the gin. I met with Tom the distiller and his boss. I made them a gin and tonic and I got my inspiration. Tom gave me a bottle of gin and I went and sat on the beach. I say to myself, I’m going to make everything about Australia, the Australian environment and the sea in a cocktail. So, that’s why I call it my ‘Deep Sea’. So, why should anyone come down to see you at Charlie Parker? Because I’m really nice to people. I always make them the subject of the bar, and I make a really nice drink, so … I make a really nice drink, yeah. The only thing I can do. That’s good, man. Well, congratulations on your win, bud. Stir and strain into a cocktail glass, garnish with one raw almond.